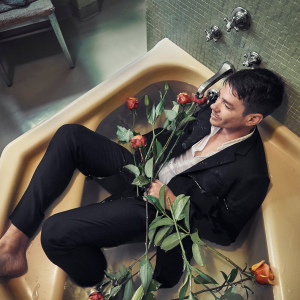 Nate Ruess’s debut solo record ‘Grand Romantic’ arrived in the middle of last year with barely a whimper, launching itself into the Australian countdown at a lowly No.61 before hastily making its exit. It’s a shame too; there’s no denying he’s an incredibly talented singer and songwriter; his time out front of Fun. (‘We Are Young’, ‘Some Nights’) and his duet with P!nk (‘Just Give Me A Reason’) is more than proof. But it just didn’t get its time in the sunshine. The campaign continues this week, with the video for the fifth (and presumably final) single from it, ‘Take It Back’. It’s a pretty simple beast; it focuses on a man who spends his nights performing in a virtually empty karaoke bar, putting all of his welling emotions into each performance. Though the premise may be a simple one, it’s an entirely absorbing watch.